Doctor. Scholar. Soldier. Peter Blood has been all these. But when he is exiled and sold unjustly into slavery, he finds there is another title he must own - Pirate. Now a man without a country, he wreaks his revenge upon the Spanish Main as a buccaneer. The only thing that saves him from absolute dissolution is the love he still harbors for Miss Arabella Bishop. Now, he is forced to balance the dictates of his conscience with his natural genius for piracy. Just before his regiment sails off to war in the Sudan, British officer Harry Feversham quits the military. He is immediately given four white feathers as symbols of cowardice, one by each of his three best friends and one by his fiancée. To disprove this grave dishonor, Harry dons an Arabian disguise and leaves for the Sudan, where he anonymously comes to the aid of his three friends, saving each of their lives. Having proven his bravery, Harry returns to England, hoping to regain the love and respect of his fiancée. Would you consider the audio edition of Scaramouche to be better than the print version? Yes - I would have had trouble with the French names and I liked having them pronounced correctly and beautifully. I read Scaramouche in the 1950s. Scaramouche was originally published in 1921. I was unaware there were a number of books published as a series. This book “Scaramouche: A Romance of the French Revolution” was originally published in 1947. I remember I enjoyed the story but cannot remember much about the storyline; so, I decided to read this book instead of Scaramouche. Our protagonist is André-Louis Moreau, a lawyer raised by nobility. The story is set in the French Revolution. Moreau is accused of sedition. He joins a troupe of traveling players as a clown to hide from authorities. 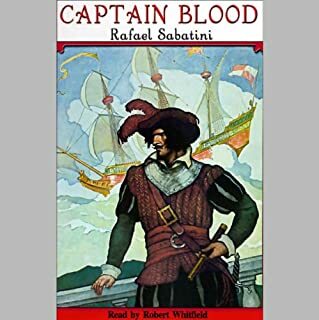 This is a famous swashbuckling novel full of sword fighting, humor and romance. This will soon be one hundred years old and it is as good today as then. 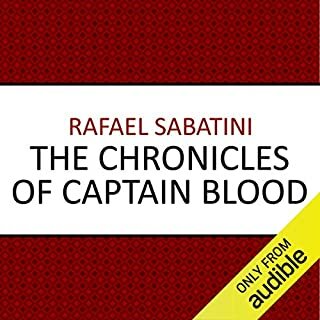 Rafael Sabatini (1875-1950) was an Italian-English writer. He is famous for his adventure stories. 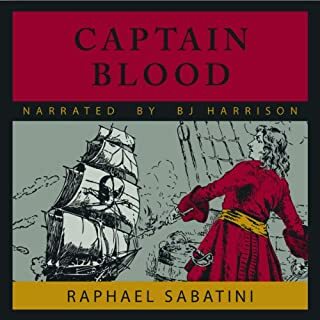 He is best known for his worldwide best sellers such as Scaramouche, Captain Blood and Sea Hawk to name a few. The book is eleven hours and fifty-two minutes. Simon Vance does an excellent job narrating the story even though he could do better, in my opinion, with the pronunciation of French words. Vance is one of my favorite narrators and is a multi-award-winning narrator. Truly great historical literature often reflects the era it's written in as much as the era written about, and it typically resonates well into the future for the same reasons. In our modern world where civil liberties are dying one at a time and the power of the masses is called into question, this book will most definitely resonate. This is not my first venture into the world of Scaramouche, nor will it be my last. 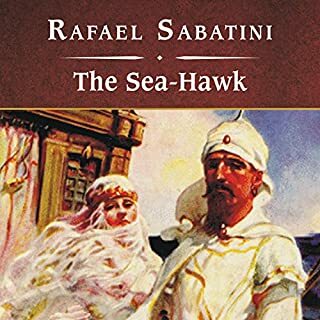 I mark this not only as one of my all-time favorites, but also as Sabatini's best in my humble opinion. The author's prose is spot-on in defending the morals of liberty, denouncing the over-privileged, and smirking into the face of opposition with a laugh and a wit as sharp as the sword of his hero. Eloquent, dangerous, and unrelenting, Scaramouche and his author are timeless in their righteousness. If you've not read this one, I can't recommend it enough. I know the story well and was looking forward to an audio version. While not suggesting I could do any better, the problem I had was the reader's accent. It was a little precious and cloying after a while and he seems to have the same problem so many male readers (Jim Dale excluded) have doing womens' voices. I do realize how difficult it is maintaining all those different characters, but- just sayin'. I was curious about this novel having loved the 1950's MGM movie. 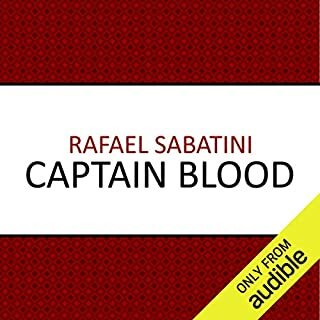 This was the first Sabatini novel and found it very well written and entertaining. There was also a lot of great historical information about the start of the French Revolution mixed into the tale. Kind of a melodramatic ending was it's only fault but that is forgiven considering it's age. 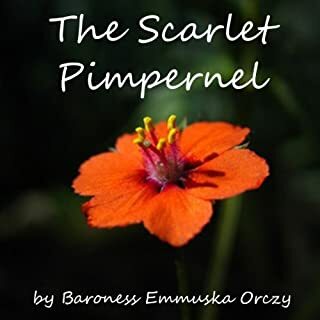 Simon Vance is a wonderful narrator and brings the story to life with fantastic french pronunciation which puts the ones in my head while reading to pathic shame. If you are a historical novel lover this is a classic and well worth putting on you listening list. And oh.....MGM changed the story a lot although the silent version was just on AMC and it did an excellent job of translating the story to film. I read this book because it was a recommended read based on the Counte of Monte Cristo. It is so unique and well written. I found myself dumbfounded and walking away in awe many mornings. With all the elements of tension, fate, action and mystery. Some good insights and explanations of the time and place the story takes place in. I enjoyed very much. Fan of the films though necessarily cut to ribbons. Historical fiction is rapidly becoming one of my favorite genres. I liken the work of Sabatini to Frank Yerby who would come along later. Though enjoyment that makes you long for a sequel. I read it every year faithfully. 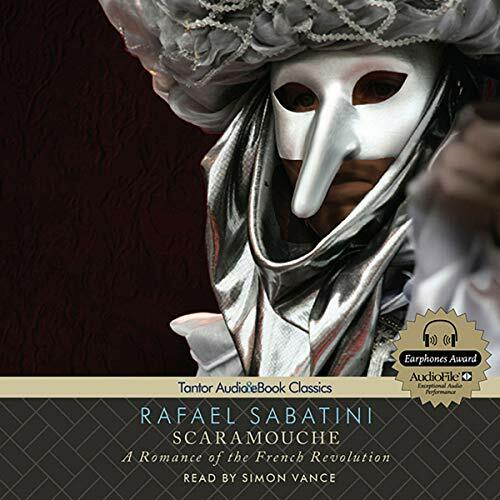 Surprisingly contemporary and wonderfully written, Simon Vance's performance brings Sabatini's masterpiece to life. At once subtle, inventive, thrilling, and informative, it is a pure pleasure to experience.